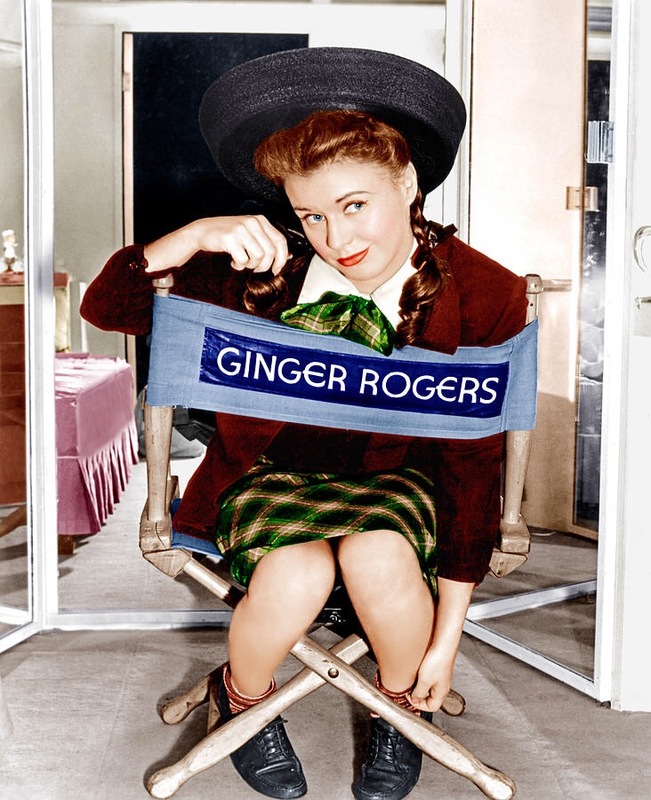 Today is the birthday of old Hollywood actress Ginger Rogers! She was born on this day, July 16, in 1911! Sometimes when searching a drink, I end up finding dozen different recipes from as many websites, blogs and cocktail books. And although there are surely cocktails with more variations to their name, searching for a Ginger Rogers drink did result in a couple different recipes. 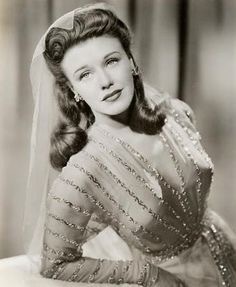 For the Ginger Rogers recipe I’m writing about today, I pulled info from Cocktailia and Post-Prohibition. A gin and ginger ale drink made extra-fancy with mint, lime juice and more! 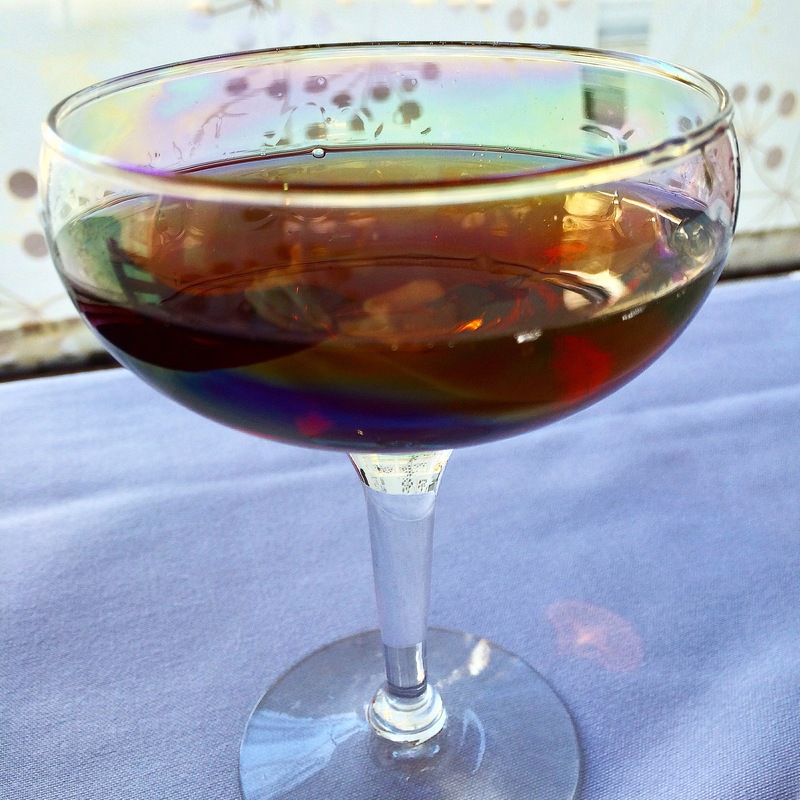 This recipe was created at Portland’s Zefiro in 1995 by Marcovaldo Dionysos. 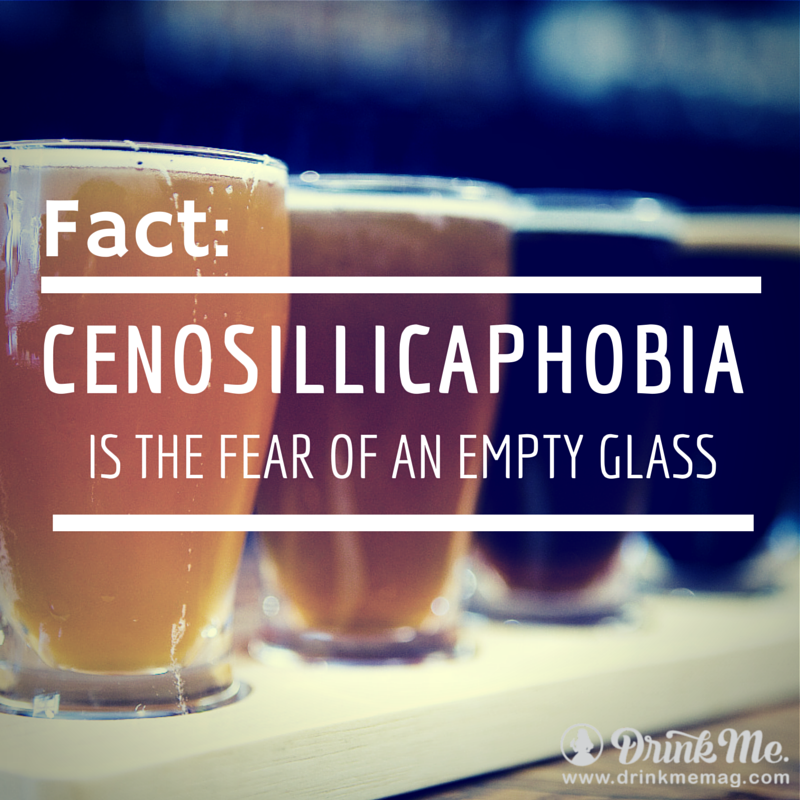 It gained its popularity at Absinthe Brasserie and Bar in San Francisco where it was one of the most ordered drinks. It’s also the cocktail that inspired the book The Art of the Bar. Shake all ingredients except the ginger ale over ice and double strain into a chilled Collins glass filled with fresh ice. Top with ginger ale and garnish with mint and a lime wedge. Imbibe Magazine calls for a whiskey sour with gingerbread flavor. 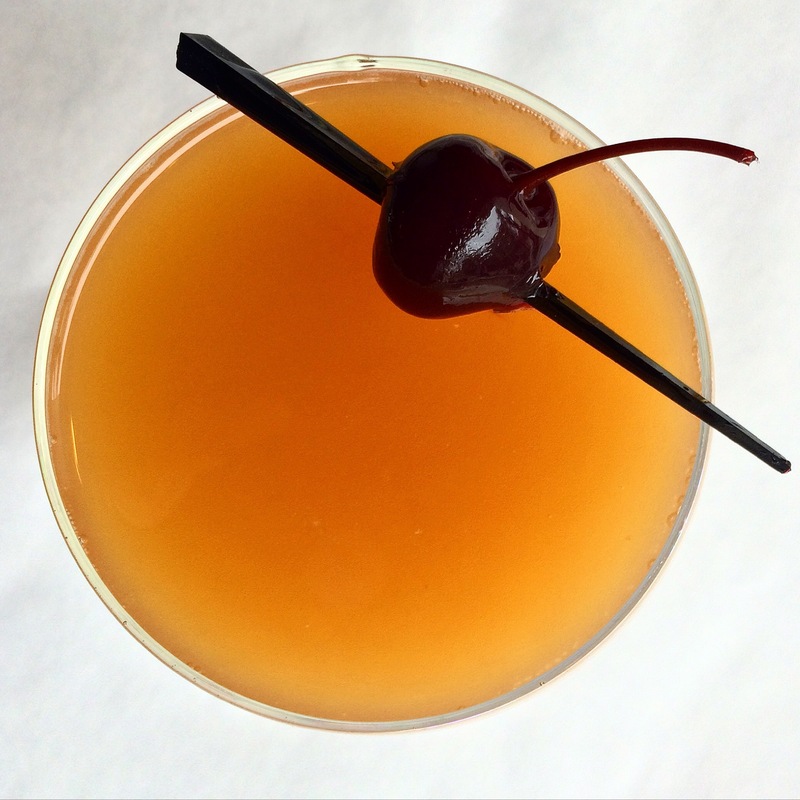 This classic recipe calls for dry vermouth and apricot brandy, among other ingredients. Read more about it here. Pour the Maker’s Mark, mango nectar, lime juice and bitters into a cocktail shaker filled with ice. Shake vigorously for about 25 seconds and strain into a cocktail glass or serve over ice. Top with ginger beer. Garnish with 3 cubes of mango spiked on a wood skewer. Happy “World Cocktail Day” to everyone! Why a day to recognize cocktails in general as a category of drinks? I dunno… Why not!? There’s a blog I check daily called Good Spirits News, and just the other day they posted about World Cocktail Day. The blog post gives several notations about the origins of the word cocktail and cites Good Things Magazine for all its info. This date is now recognised as World Cocktail Day, an occasion on which drinkers commemorate the first recognised publication of the word’s definition. So the first recognized publication of the word cocktail described it simply as “a stimulating liquor composed of spirits of any kind with sugar, water and bitters. It’s such a beautiful recipe — with all its components being so basic and easily interchanged with other ingredients. There are so many sugars and sweeteners to choose from and now so many bitters on the market, not to mention the open-endedness of being able to use any spirit. Whatever you decide to have today, just don’t find yourself without a drink! — And here’s another link. 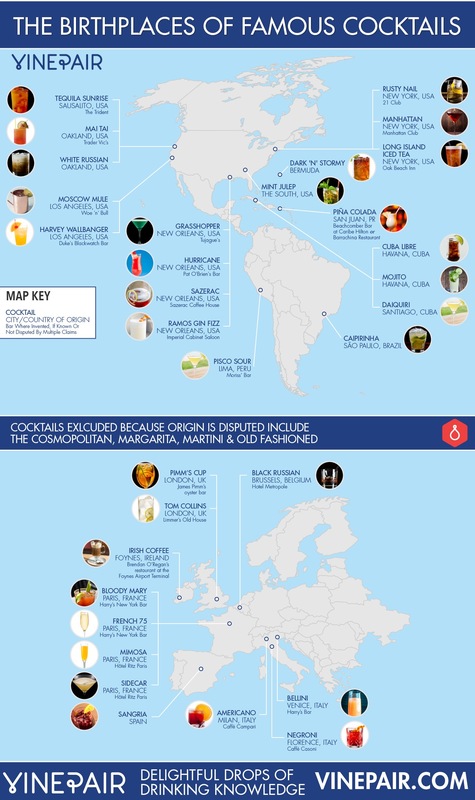 And just to round out the “World” part of World Cocktail Day, here’s a link to a site which put together a map of the places where famous cocktails were born. 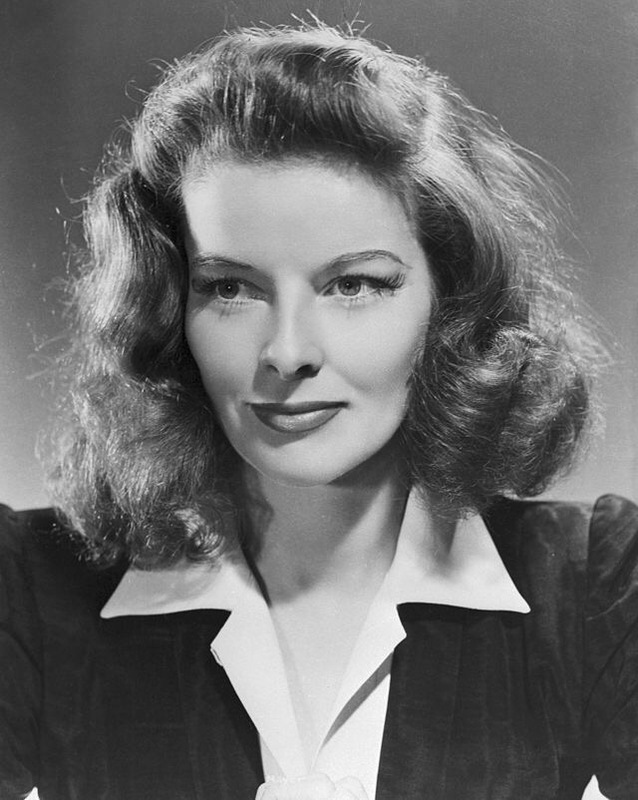 Today is Katharine Hepburn’s birthday. 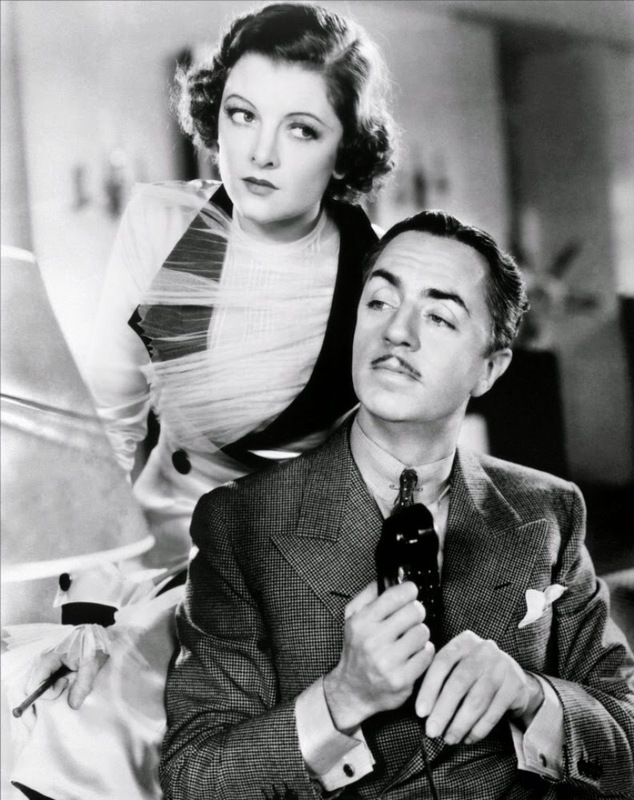 She was born May 12, 1907. In celebration of her birthday, I say we should all have a Sazerac. It’s the second time in a week that I’ve recommended this cocktail. And I’m sure I’ll find a dozen more reasons to do so again as time goes on, but today is about Katharine Hepburn. 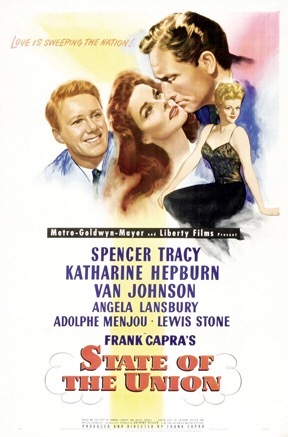 I don’t know if she has a cocktail named after her at all, but she did drink a Sazerac or two in the film State of the Union, which was made in 1948. The film stars Spencer Tracy and Katharine Hepburn as political campaigners, and at one point, a Southern guest of Hepburn’s character introduces her to the Sazerac cocktail. This official cocktail of New Orleans is as boozy as you’d expect, and, if it’s cool enough for Katharine, it’s more than cool enough for me. Read the full list of 10 classic cocktails and who drank them in this 2011 piece on The Hooch Life. Chill a rocks glass. Give it an absinthe rinse, using only a small amount of absinthe (or Herbsaint)band then discard the excess liquid. 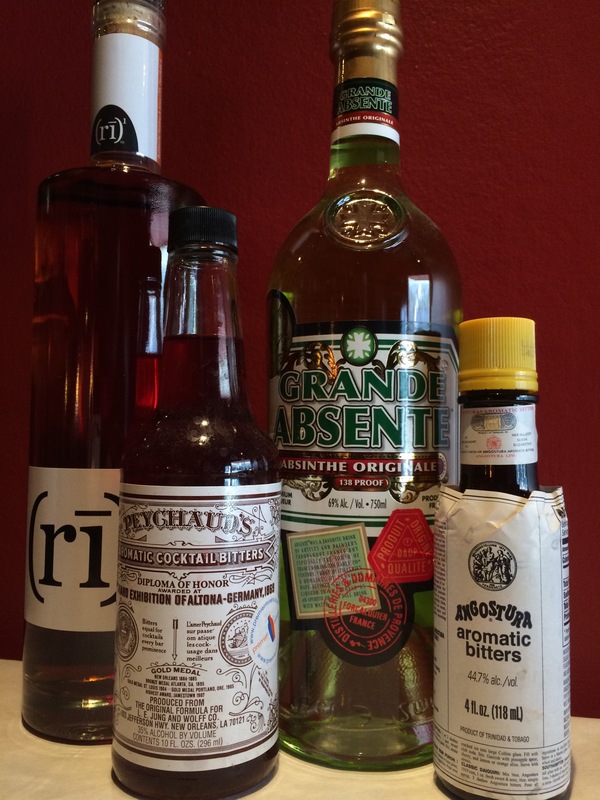 Stir all the ingredients except the absinthe over ice and strain into the absinthe-rinsed glass. Today is Salvador Dali’s birthday. 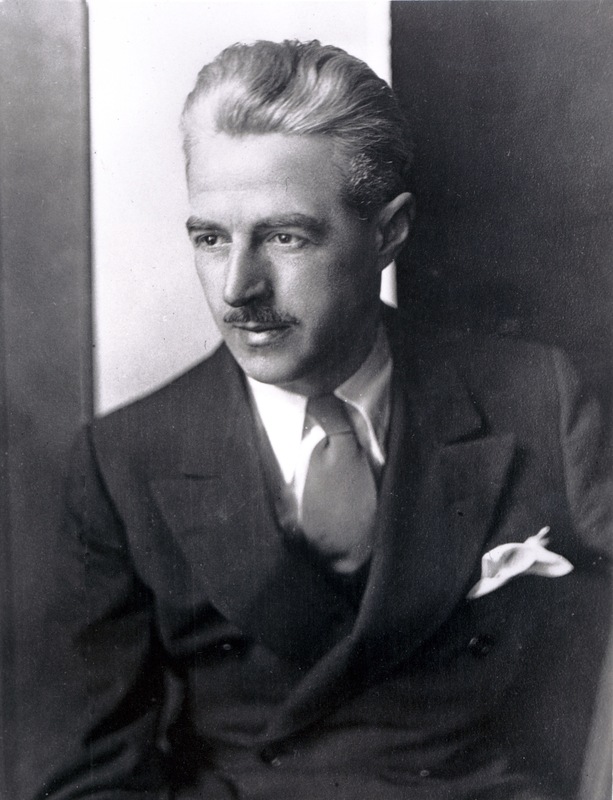 He was born May 11, 1904 in Spain. 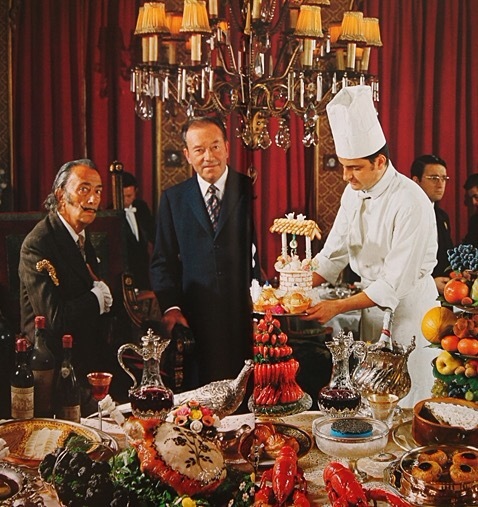 So, in honor of his birthday, I searched the Internet to see if he has his own cocktail — and lo and behold, he actually had his own cook book! 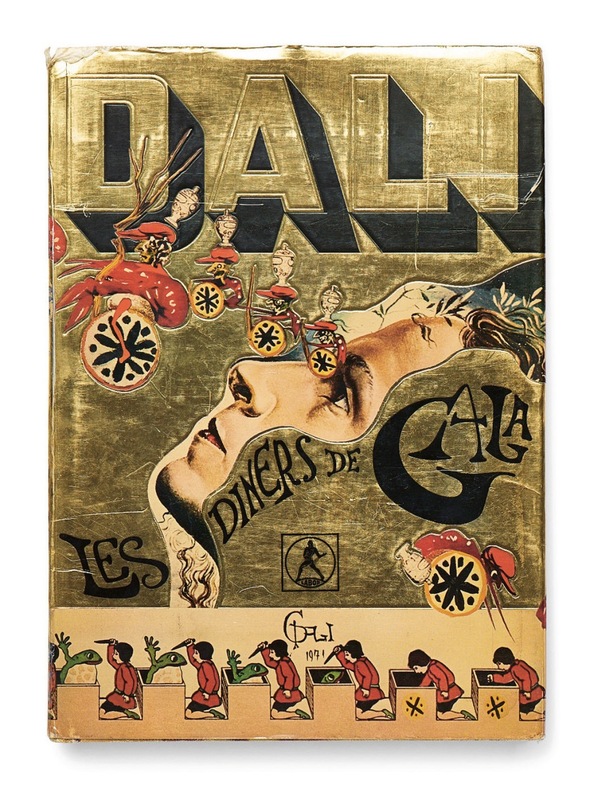 Les Diners de Gala was published in 1973. In the book he details how to make his Casanova Cocktail, which seems to me to be the appropriate drink to have today in honor of his birthday today. This is quite appropriate when circumstances such as exhaustion, overwork or simply excess of sobriety are calling for a pick-me-up. Here is a well-tested recipe to fit the bill. Let us stress another advantage of this particular pep-up concoction is that one doesn’t have to make the sour face that usually accompanies the absorption of a remedy. At the bottom of a glass, combine pepper and ginger. Pour the bitters on top, then brandy and “Vielle Cure.” Refrigerate or even put in the freezer. Thirty minutes later, remove from the freezer and stir the juice of the orange into the chilled glass. Drink… and wait for the effect. All the text I included above came from a site called Brain Pickings. I believe that’s the text which accompanies the drink recipe in Dali’s book. Want to read more? Here’s a link to Huff Post and a link to First We Feast and also Dangerous Minds. Rudolph Valentino was born May 6, 1895. 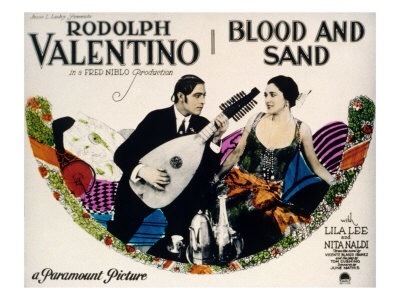 Valentino made movies from 1914 through 1926, including the film Blood & Sand. 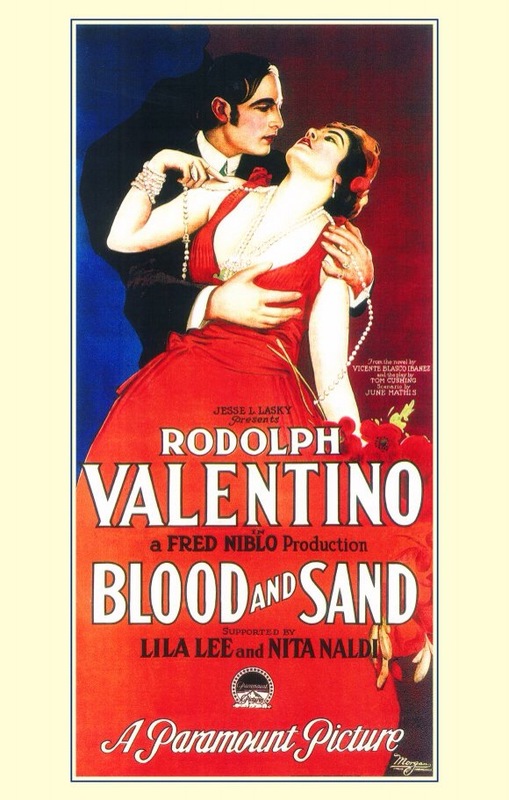 And, of course, the “Blood & Sand” cocktail was named for Valentino’s 1922 bullfighting film. The recipe is first known to have appeared in the 1930 Savoy Cocktail Book. Shake and strain all ingredients over ice and strain into a chilled martini glass. So much of what’s fun about researching old drinks like this is how they have changed throughout the years. — Check out Difford’s Guide for the classic recipe, the drink’s history and also a number of variants on the basic Blood & Sand. —This Saveur recipe bumps up the scotch.